Cover is made from a collage of paper and photograph fragments glued to a sheet of Japanese paper, waxed, and used to wrap the boards. 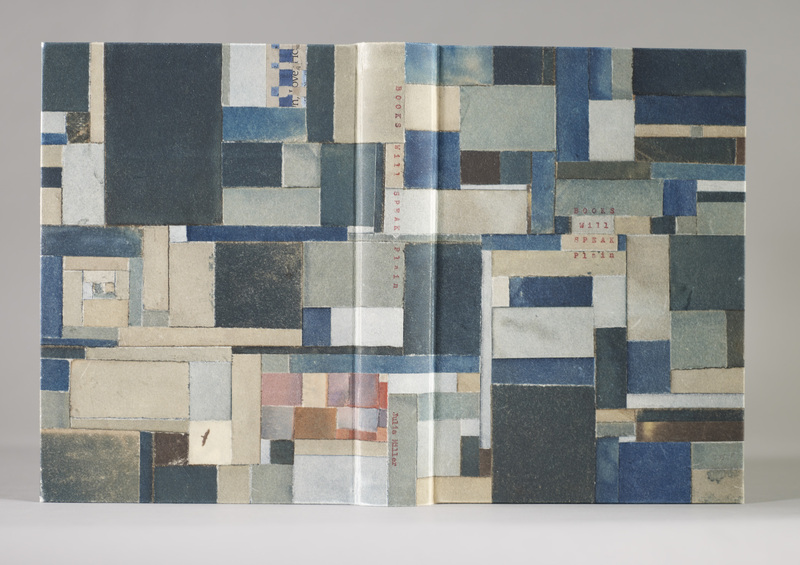 In his work as a photographer and book artist, Nilan generates leftover trimmings from large paper pieces, fragments of paper weavings, and snippets of photographs, all of which were used for this binding. Jeff Nilan received his MFA from Indiana University where he also taught for a number of years. His work is influenced by his roots and upbringing, as well as the landscape and culture of the Midwest. He is an Associate Professor of Photography at Ohio Wesleyan University. I really like the pattern on this cover. Interesting technique. I would like to see some of these books in person, especially this one.